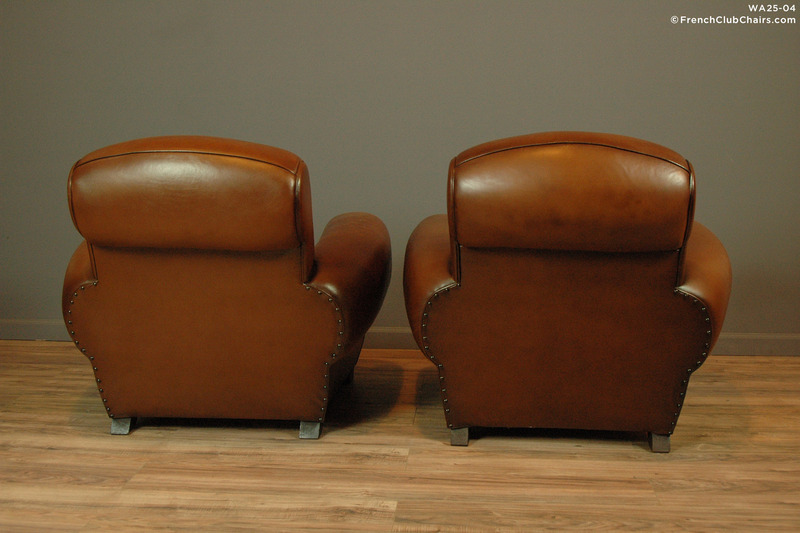 Love this midsize pair of French club chairs circa 1940s, restored with our signature French Pyrenees Sheephide. They were professionally restored by my amazing French friends that have done this work for the last 30 years. Perfect for your library or even a higher traffic living room with the fresh supple leather. measurements: L-35", W-40". H-29" Seat depth- 23", seat width-19", seat height-18"